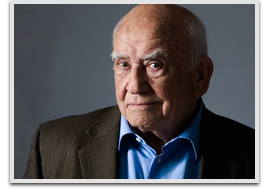 Ed Asner is best known for his Emmy Award-winning role as Lou Grant on both The Mary Tyler Moore Show and its spin-off series Lou Grant, making him one of the few television actors to portray the same leading character in both a comedy and a drama. In 2009, he starred as the voice of Carl Fredricksen in Pixar’s Up. Asner continues to entertain audiences ad can be seen in Working Class, the first original sitcom on cable channel CMT, and in the Canadian television series Michael, Tuesdays and Thursdays, on CBC Television and has appeared in the 2013 television series The Glades, in the episode “Killer Barbecue”.